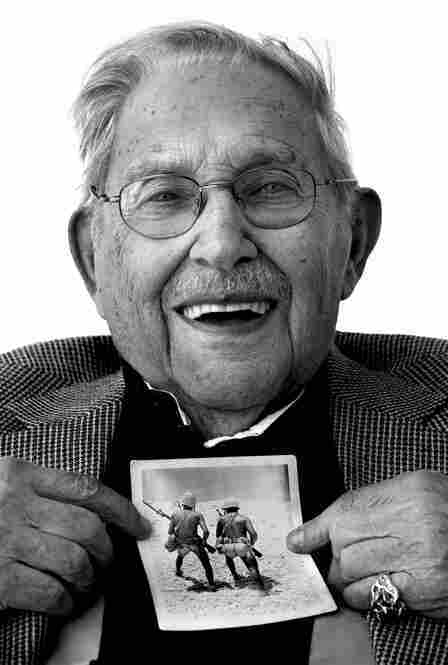 Veterans' Visual Memories Of WWII : The Picture Show Pearl Harbor, D-Day, the Times Square kiss: Veterans hold photographs in photographs and recall their most memorable war experiences. As a kid, it's hard to understand that war is a touchy subject. At that age, grandparents or parents are cool for having fought. Photographer Thomas Sanders, for example, used to ask his grandfather about World War II -- if he had killed anyone -- with no particular tact. And, no surprise, his grandfather didn't say much. Sanders grew up, and in college decided to ask for war stories again -- only this time it was for a photo project, and he wasn't asking his grandfather. For the past few years Sanders has been traveling the country photographing WWII veterans and documenting oral histories, many of which had never before been told -- not even to family members. His first subject in 2006 was Lt. Randall Harris. "I was a 21-year-old college senior at the time," Sanders writes in his new book, The Last Good War, "stressing about my future as a photographer, my final exams, and the girl's number I was striving to get that weekend. When Randall was my age, his only goal was to live to the next day. I couldn't even fathom what that would feel like." 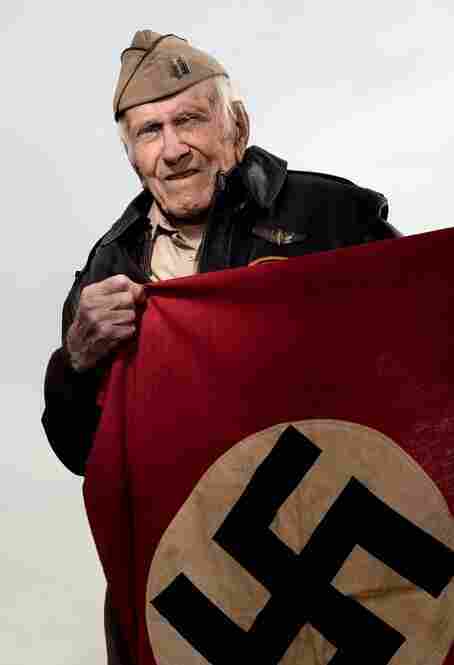 Fred Mitnick, sergeant, U.S. Air ForceMitnick repaired airplanes in the Pacific. One year, he sent the photo he's holding as a Christmas card. 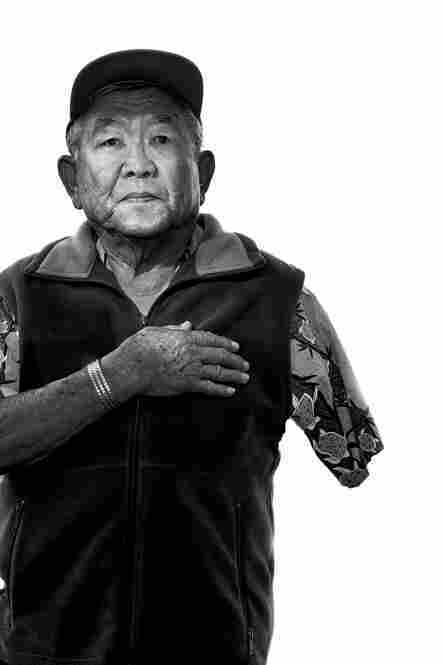 Don Seki, corporal, U.S. ArmySeki was a Japanese-American living in Hawaii when Pearl Harbor was bombed. He joined the 442nd Infantry, a mostly Japanese-American unit with a fierce reputation and numerous commendations. 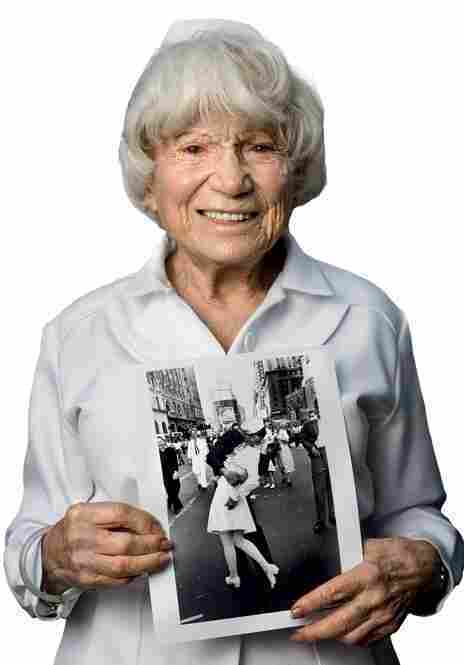 Edith Shain, nurse Shain became an iconic symbol of victory after Alfred Eisenstaedt took a photo of her being kissed by a sailor on V-J day in Times Square. 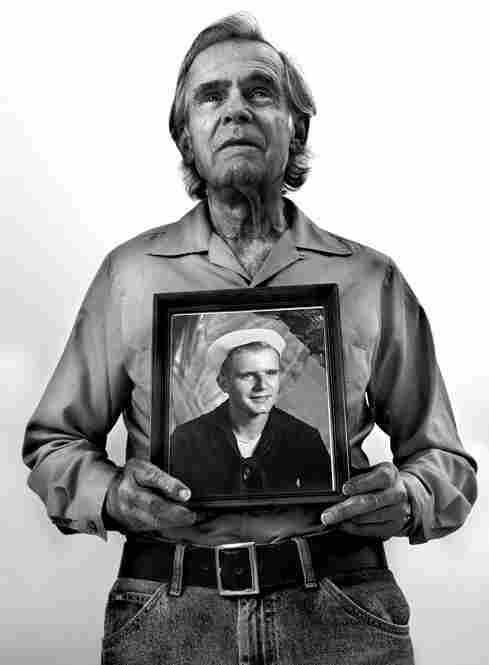 Aldo Bruno, Seabee 2nd class, U.S. Navy"The war ended while I was in boot camp. 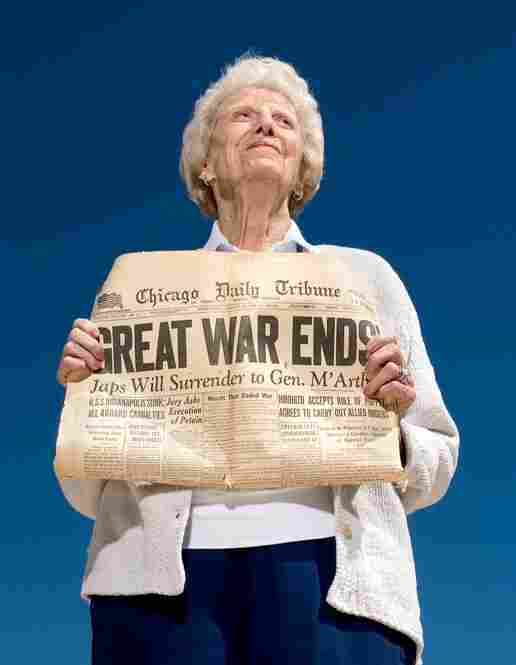 I was glad that the armistice was signed. We felt that we would get out right away but we didn't — we stayed another 2 1/2 years." 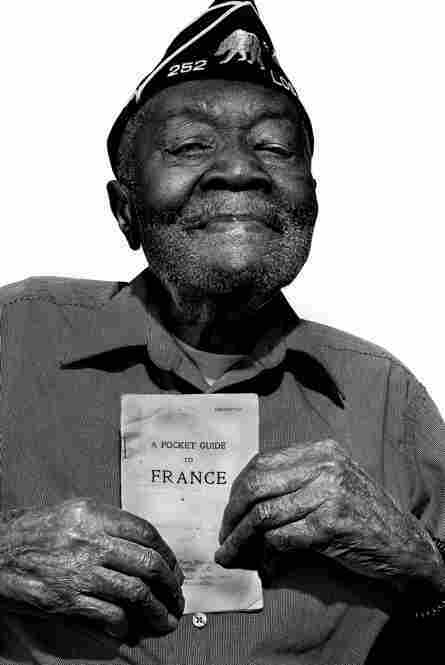 John Jackson, corporal, U.S. ArmyJackson stayed in France after the war ended, learned French, and studied at the London School of Economics. 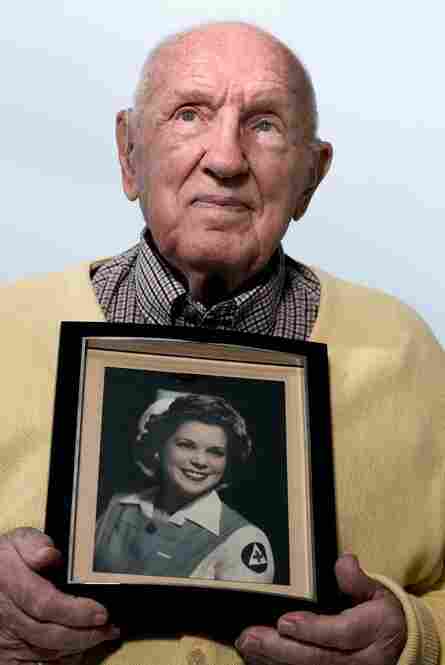 He married a Japanese-German woman he met in London and fought to bring her back to the U.S.
James R. Brown, staff sergeant, U.S. Army"My most profound regret during this time was the loss of my brother Jack to a Japanese flame-thrower on Guadalcanal. My most enduring memories can only be the bloodshed, the fear and the resolve of myself and fellow soldiers to do what had to be done." Louis Zamperini, captain, U.S. Army Air CorpsAn Olympic athlete prior to the war, Zamperini competed in the 1936 Berlin games where he took this souvenir. 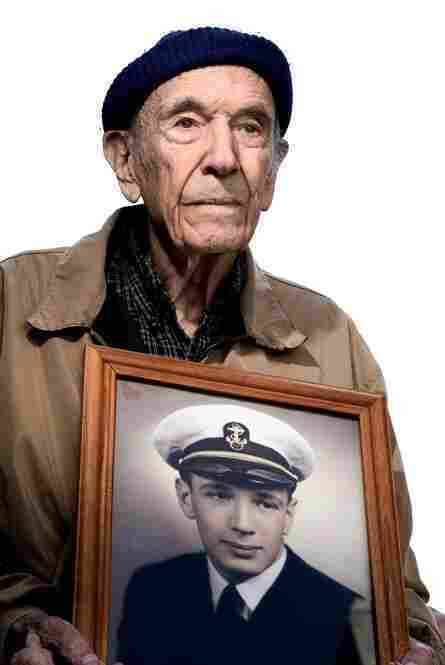 He was shot down in the Pacific and spent the end of the war as a Japanese POW. 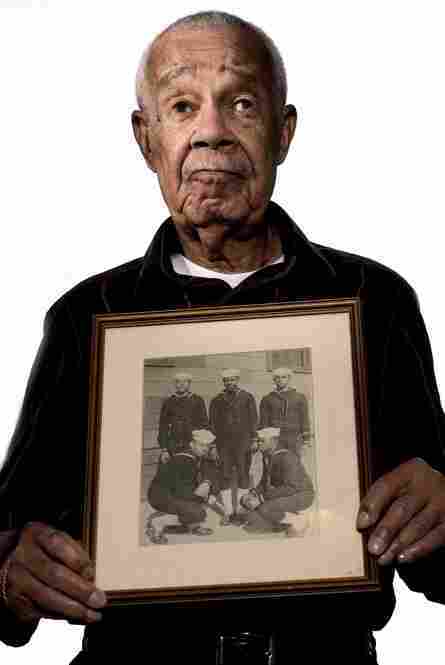 Donald Deneen, seaman, U.S. Navy"In between having one ship strafed at Omaha Beach and another ... hitting a mine and sinking in the English Channel, I had the best time of my life. What experience and friendships!" 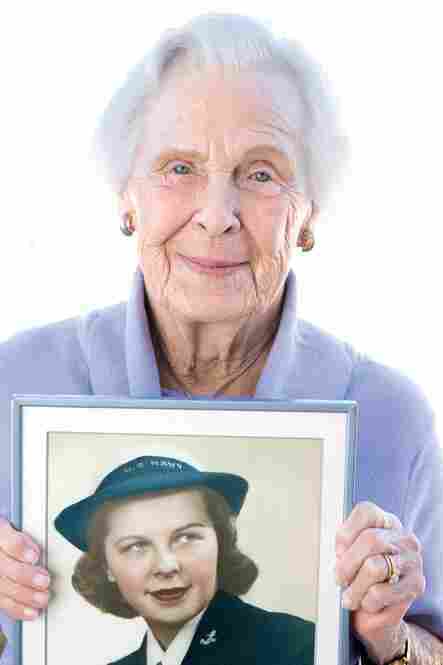 Louise O'Flahery, U.S. Navy (WAVES)O'Flahery worked on breaking the German code machine Enigma. The book itself, which came out last month, is about 220 pages of portraits supplemented with transcribed memories. 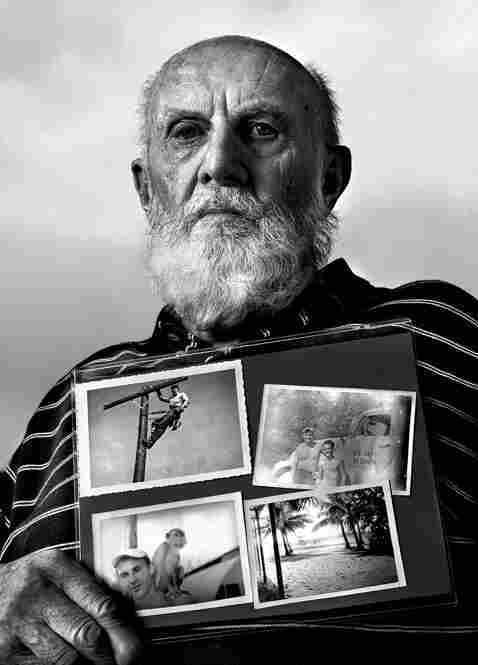 But, at the risk of sounding cliched, the photos that stand out most to me are the ones the veterans are holding. Two soldiers mooning the camera, the portrait of an airbrush-y nurse -- or the nurse from the famous Times Square V-J day "kiss" photograph. It's one thing to hear a veteran's memory; it's another to see him or her hold it. "Having them hold these artifacts helped take them back," Sanders explained on the phone. "That’s how I got so many great expressions." It's particularly sentimental, he said, because of the 18 veterans he interviewed in Nashville, for example, half have already died. There's that proverb that goes something like: When an old man dies, a library burns to the ground. Projects like this one are important because they archive at least some of that library.